Thanksgiving in our family is mainly comprised of a big dinner, and a football marathon. However, as my daughter has recently been very into baking, the Thanksgiving dessert has become very important as well. 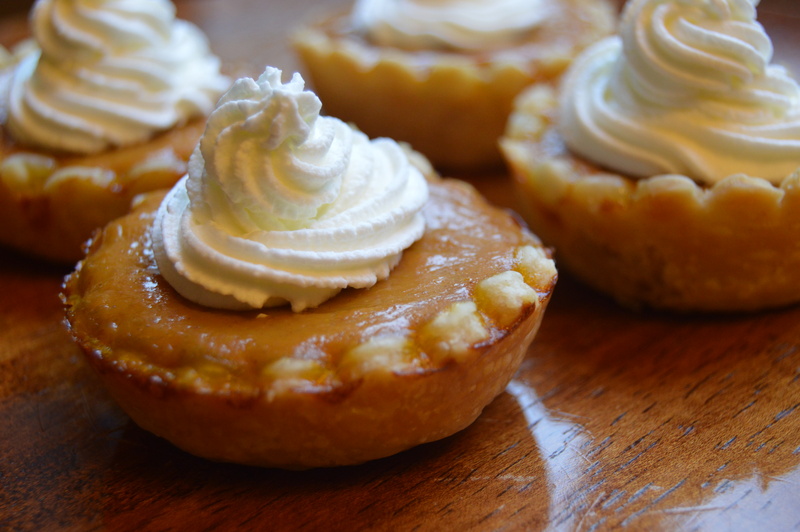 Pumpkin pie is a classic, and this year we decided to make the traditional dessert, but instead of making one big pie, we made small, (or ‘chibi’ in Japanese), pumpkin tarts. 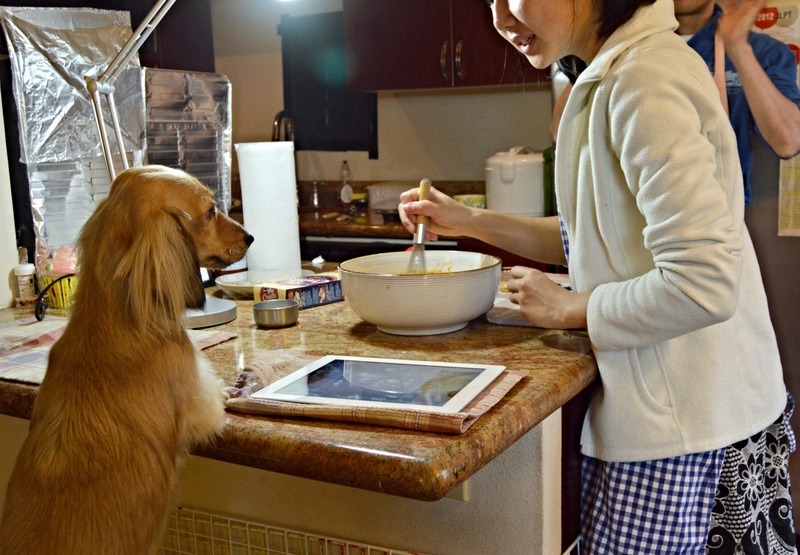 As the whole family was milling around the kitchen baking and eating, our dogs; especially Haru, were very curious! She jumped up onto the stool, hoping to get a little treat. Instead of using a pie tin, we cut our (store bought) pie crust into circles using a fluted tart holder, and pushed them into a muffin tin. 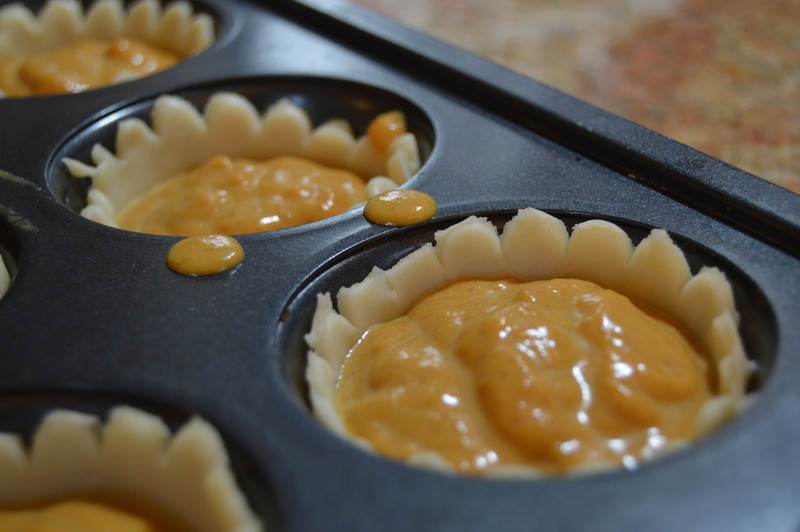 As we ladled the pumpkin pie filling in, all I could really think was how much the pies resembled little sunflowers. 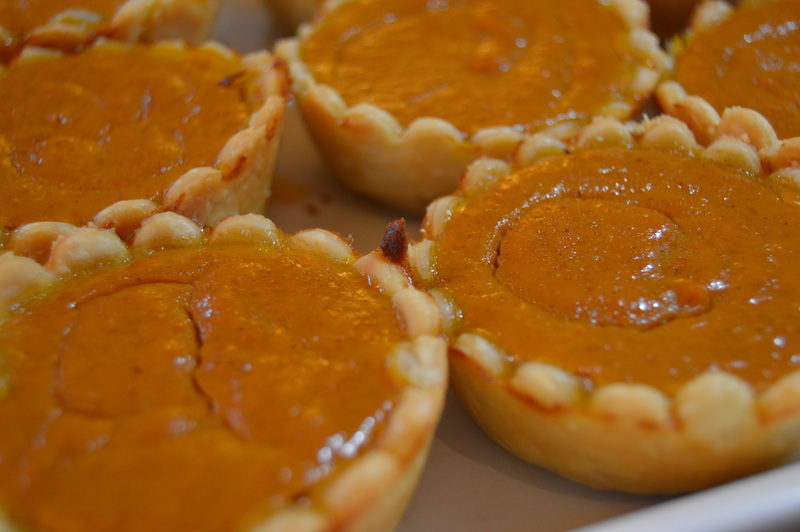 The little pies came out of the oven with a beautifully decadent pumpkin scent. 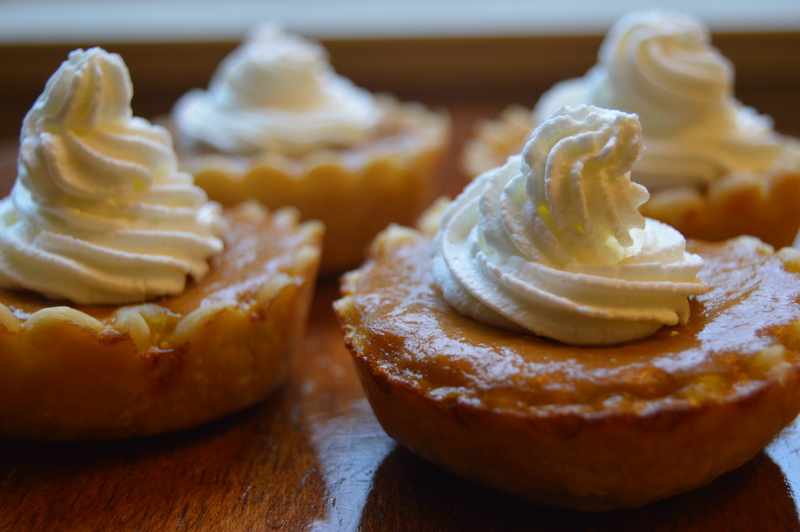 A dollop of whipped cream finished off our ensemble, and our desserts were done. 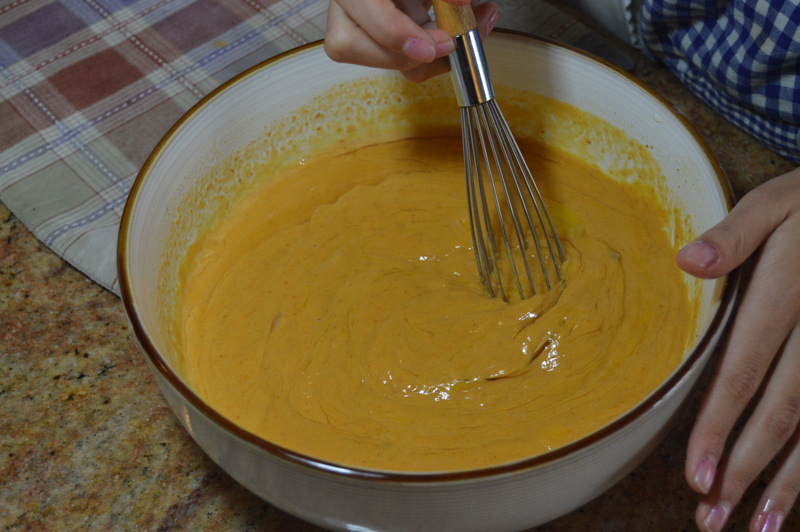 Today’s baking has become another wonderful memory that I have made with my family. 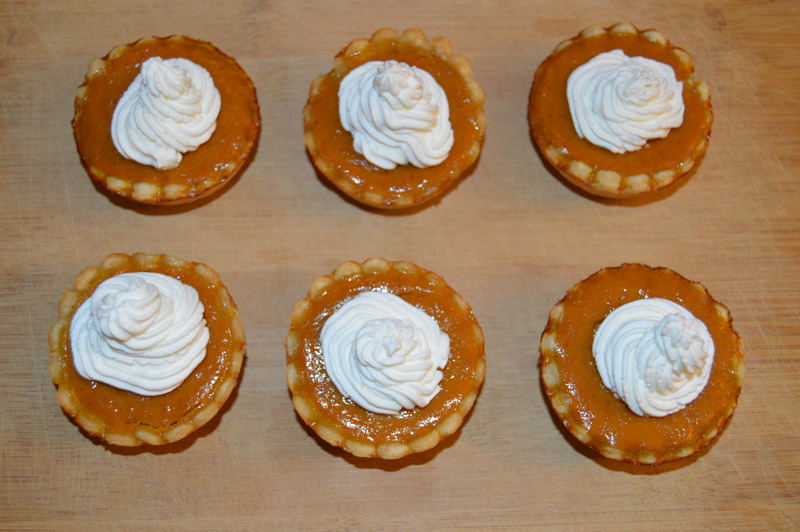 You can find the recipe for these mini pumpkin pies here: http://bloomdesignsonline.com/2013/10/make-it-monday-pumpkin-pie-minis.html and I hope you all have a spectacular Thanksgiving! Happy Thanksgiving to your family! Cocoa and Haru will get a special treat. Happy Thanksgiving to all your family too!